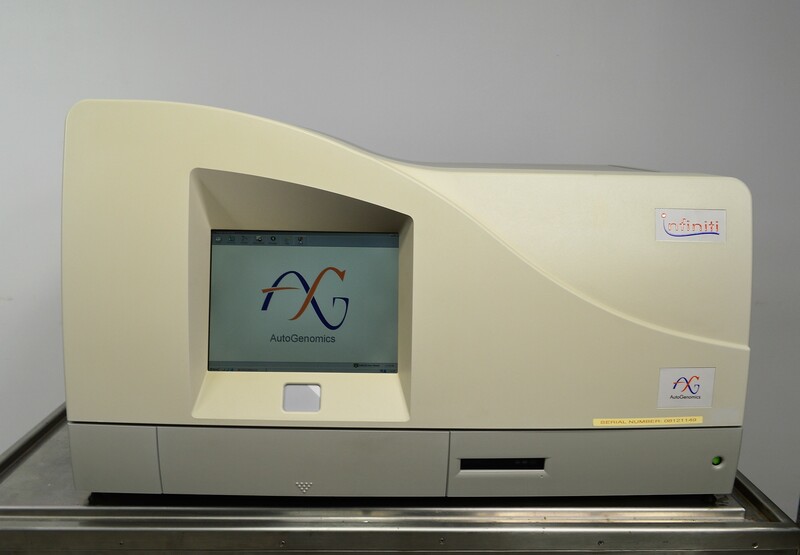 Autogenomics Infiniti Analyzer Microarray Multiplex Amplifier Genetic Marker . New Life Scientific, Inc. This analyzer is in good cosmetic condition and functioned without errors. The technician observed all motors function during initializtion and the instrument passes self-tests when powered on. The software logs indicate the last experiment ran was in September 2016 and completed. NLS technicians were unable to perform a test run because the proper reagents and consumables were not acquired. All internal logs from September 2016 to now, show the instrument was operated in service mode and powered up or down. There were no critical errors noted while reviewing the last year of data. The touchpad allows the user to navigate the interface and was self-explanatory.